Portsmouth Housing Authority’s first development Gosling Meadows, 124 units of family housing completed in 1959. State Street Senior Apartments, completed in 1963. Built in 1770, the Joshua Wentworth house was moved from the city’s North End to a lot next to Stoodly’s Tavern on Hancock Street. The house became one of the original 35 buildings that became Strawbery Banke. 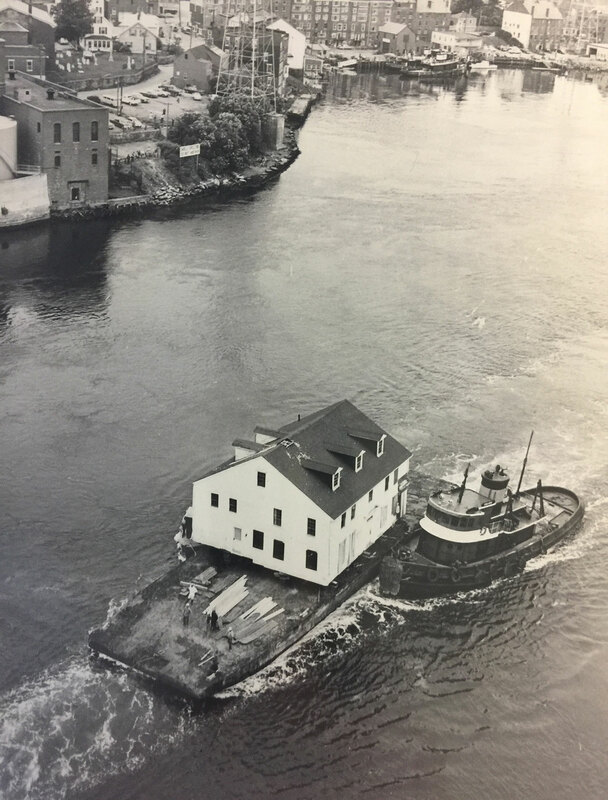 Joshua Wentworth house was moved in 1973, partially by water down the Piscataqua River on to a landing at Prescott Park in the South End. 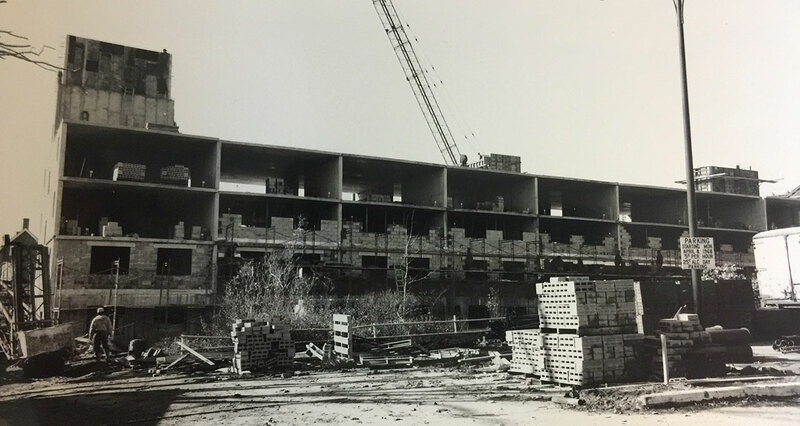 Construction of the Feaster Apartment building on Court Street, 1970. In the early 1950’s, Pease Air Force Base grew exponentially after it was named a site for the Air Force’s Strategic Air Command unit. During that time, the base grew to a 4,100 acre complex, employing some 10,000 men and women of the Air Force and civilians. 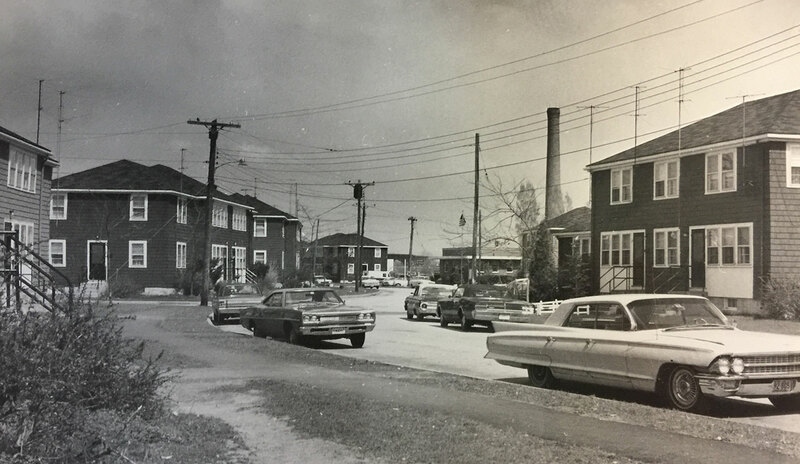 As Pease burgeoned, the City of Portsmouth saw the need for more affordable housing for workers, which led to the creation of the Portsmouth Housing Authority. 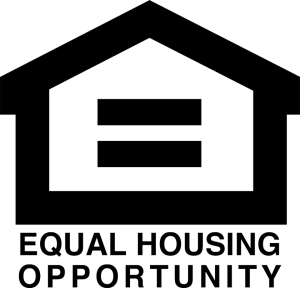 To take advantage of the new laws and new sources of funding from the federal government to assure that people in Portsmouth have decent, safe, and sanitary housing, the City of Portsmouth created the Portsmouth Housing Authority. The Authority was chartered in 1953 and built its first development in a meadow on the far outskirts of Portsmouth, on the Newington town line. The 124 family housing units were completed and occupied in 1959 and named Gosling Meadows. Through the years, PHA organized numerous programs for the youth and adults at Gosling Meadows. The Gosling Meadows neighborhood recreation center opened in 1975, offering the residents’ children numerous recreational and educational activities, as well as field trips, cooking, crafts, and other classes. In 1962, PHA opened its first senior citizen housing developments in three locations: Woodbury Avenue, State Street, and Pleasant Street. In the early days, PHA was not only a Housing Authority, but also a redevelopment/urban renewal agency. 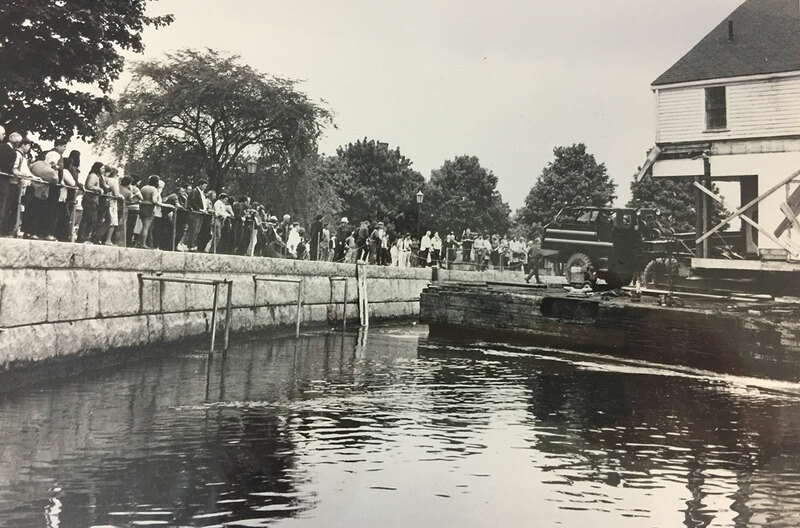 In the late 1950’s the federal government began funding urban renewal projects for local municipalities, and the City of Portsmouth was awarded these funds. The Marcy Street and Vaughan Street urban renewal projects were the largest of these projects, but the City would also complete other urban renewal projects, including the expansion and renovation of the Portsmouth Library, the Old City Hall on Daniel Street, the High - Hanover parking garage, and the Franklin Block all were supported by federal urban renewal funds. It was around this time that Dr. Dorothy Vaughan, then city Librarian, gave her famous talk to the Rotary Club, which ultimately initiated the creation of Strawberry Banke. Strawberry Banke, taking its name from early seventeenth century Portsmouth, was incorporated in 1958 “for the general promotion of knowledge and education among all persons of the history of early Portsmouth and the Piscataqua River.” The Marcy Street Urban Renewal project used government funds to revitalize this industrial waterfront and surrounding commercial and residential neighborhood. Today, Strawberry Banke draws visitors from around the world and has been the impetus for the historic preservation of the majority of the buildings in the historic South End. In addition, the city turned this industrial waterfront to a thriving public park through the Prescott Trust. The largest project completed in Portsmouth using urban renewal funds was the Vaughan Street project. At Vaughan Street, PHA brought its historic preservation experience at Strawberry Banke to move and preserve the most historic North End homes and place them on the National Register of Historic Places. This preservation project led to the creation of what today is known as “the Hill.” In the early years, the PHA also had a few varied offers on the Sheraton Hotel parcel, but turned them down in hopes that a hotel proposal would be forthcoming. When the city received the property, it held fast on the same position. Finally, the Sheraton Corporation came along with its plans for, and construction of, a hotel and shops along Deer Street. These are just a few of the areas that the PHA worked in unison with the city and helped the historical flavor spread to other areas and neighborhoods. While all these urban renewal projects were going on, housing for people with low incomes was still at the forefront of PHA’s mission. In 1968, the Section 23 Program was initiated with the leasing of 25 privately owned dwelling units, mostly in the Atlantic Heights area. 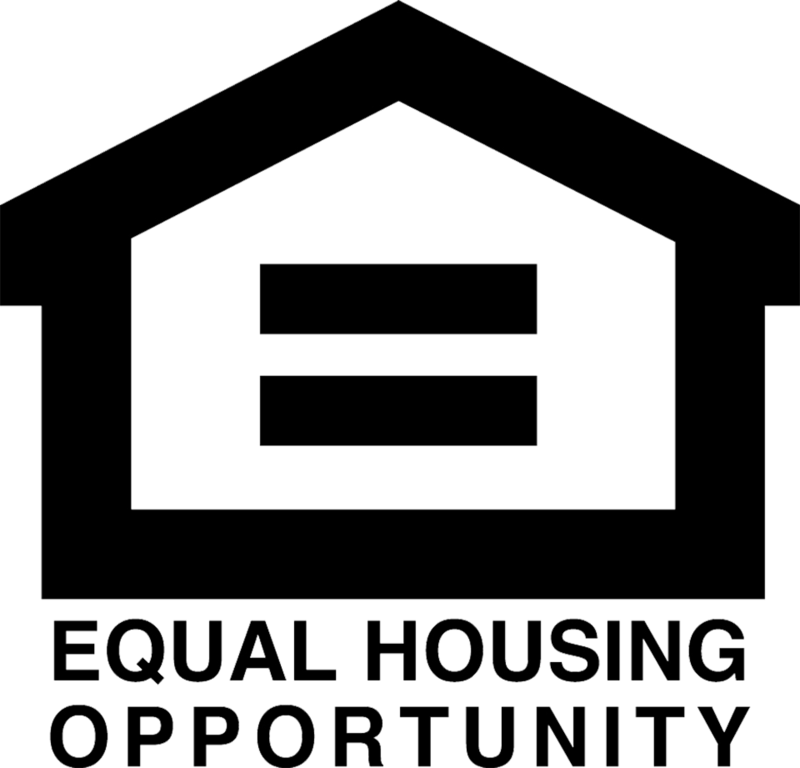 The Section 23 Program was the forerunner of the Section 8 Existing Housing Program which became the Section 8 Housing Choice Voucher Program as we know it today. Today, PHA provides nearly $3 million in cash subsidies to over 164 landlords in the region. These funds are given to these landlords in exchange for a promise to house people with low incomes. Today, this program allocates over 400 vouchers and houses 750 people. Due to the relocation of numerous senior residents during in the Urban Renewal era, PHA opened Feaster Apartments in 1970, consisting of 95 one-bedroom units and five two-bedroom units. All two-bedroom units were converted to handicap accessible units in 1994. This building was named after Captain William N. Feaster, Chaplain, United States Army, who was killed during the Vietnam war while trying to save some of his comrades. In 1973, PHA opened the Margeson Apartments on Middle Street, named after Richman Margeson, a former Mayor of the City Portsmouth. Margeson Apartments consisted of 137 units of senior housing, 14 units of which were handicapped accessible and later updated in 1993. In the late 1970’s, the 100 unit Ridgewood Apartments on Greenleaf Avenue went to foreclosure and PHA saw an opportunity to keep this family housing permanently affordable for residents of the city. PHA quickly formed a non profit corporation, which successfully purchased the property. By the late 2000’s, this aging property was in need of major rehabilitation. Using Low-Income Housing Tax Credits, loans from the City’s CDBG program, New Hampshire Housing Finance Authority loans, and Project Based Vouchers from HUD, the property was fully redeveloped and reoccupied in 2011. When complete, the name of the neighborhood was changed to Wamesit Place, a Native American expression meaning “A Place for All”. In the 1970’s, after the construction and occupancy of the last two public housing properties, the PHA foresaw a need for more social services for our residents, as well as other residents of the city. PHA responded by creating a program to provision meals for senior citizens and disabled residents. This program was expanded to serve meals at three locations including the Margeson Apartments, the Senior Citizens Center and the Visiting Nursing Association’s Adult Day Care Center. Currently, PHA has one congregate meal site which is sponsored by the Rockingham County Nutrition and Meals on Wheels Program and serves over 100 meals a day to Seacoast residents. In 1973, the PHA created a new Retired and Senior Volunteer Program (RSVP) which covered all of Rockingham County. An important theme of RSVP was that everyone had a talent he or she could give, so everyone can volunteer. PHA’s RSVP program grew into the largest in the New England area. RSVP volunteers served a variety of organizations and individuals and such as knitting lap robes for nursing homes, writing letters, stuffing envelopes, reading to people with disabilities, or just being a companion. These dedicated volunteers worked in schools, libraries, city and town offices, the Greater Portsmouth Chamber of Commerce, Seacoast United Way, American Red Cross, Sexual Assault Support Services, the Seacoast Family YMCA, Rockingham County Community Action Program, VOICE, SPCA and more. In 1974, PHA opened the doors to a new Senior Citizens Center in the Henry Sherburne House on Deer Street. The center hosted a variety of programs for seniors, including health clinics, home cooked meals, exercise, bingo, ceramics, games, and other activities and events on a daily basis. PHA also operated the Senior Citizen Transportation Program from the Senior Center. Two handicapped accessible vehicles were fully equipped with two way radio communication systems and provided rides to medical appointments, the hospital, food shopping, banking, and other necessities for senior adults and the disabled. In 2000, this building was sold and the PHA along with other social service agencies renovated the former Home for the Aged Women on Parrott Avenue, which later housed the Senior Citizen Center and the Adult Day Care Program. When HUD funding for these programs was no longer available, the management of these programs was assumed by the Mark Wentworth Nursing Home in Portsmouth. During the late 1980’s, PHA sponsored a Respite Care Program for those with Alzheimer’s Disease and other dementia, and their caregivers, funded through the Foundation for Seacoast Health. This program was the first of its kind in New Hampshire, and numerous agencies have since modeled their respite care programs after it. When this program grew rapidly, PHA approached the Visiting Nurses Association, who had the expertise and medical resources that made them a better fit to operate this program. PHA supplied space, heat, and lights for this program and the VNA managed the daily operation until it relocated. In 1996, for the first time, PHA used a new financial tool for affordable housing developers called the Low Income Housing Tax Credit. In order to receive these tax credits, PHA formed a non-profit corporation for the purpose of preserving the former Atlantic Heights School in the historic Atlantic Heights neighborhood. This new non-profit organization, PHA Housing Development Ltd. redeveloped the school, turning it into thirty rental apartments reserved for people over the age of 62. These two affiliated organizations, the Portsmouth Housing Authority and PHA Housing Development Ltd., together referred to as Portsmouth Housing, would go on to develop three more LIHTC projects in the city. In 2003, PHA partnered with the City of Portsmouth on an ambitious project to permanently preserve the historic Cottage Hospital next to Portsmouth City Hall. PHA used Low Income Housing Tax Credits and mix of public and private financing to convert this long-abandoned building into 20 units of senior housing. 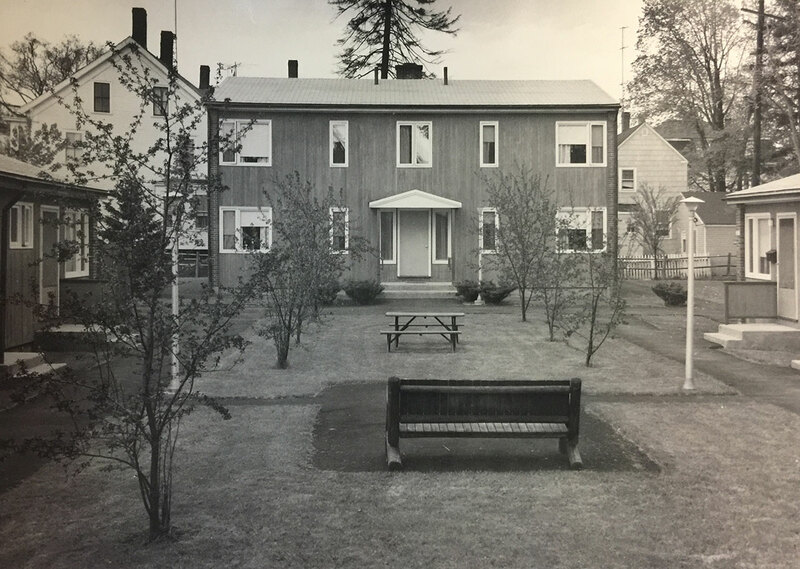 Now known as Connors Cottage, the project was named after Timothy J. Connors, former Mayor of Portsmouth and the Portsmouth Housing Executive Director for over 30 years. When the U.S. Coast Guard Electronics Maintenance Shop located at Greenleaf Avenue was slated for closing, PHA worked along side the City of Portsmouth to convert the building into a Recreation Center. The center, now operated by Operation Blessing, serves hundreds of youth and adults every year. The historic Lafayette School on Lafayette Road was another city-owned historic building in need of rehabilitation. Built in 1920, the building had previously served as the Portsmouth Community Child Care Center, which is now located at the Foundation For Seacoast Health Community Campus. PHA redeveloped the school into ten affordable rental apartments reserved for residents 62 years old and over. This historic preservation project preserved not just the building, but also many of the blackboards and doors. The building was completed and occupied n 2010. In 2013, the Portsmouth Housing Authority and the Portsmouth School Department partnered when they received a 21st Century Community learning Center grant from the NH Department of Education. With this grant, the Portsmouth Housing Authority and the Portsmouth School Department were able to form “Making Classroom and Community Connections (MC3)” at the New Franklin School. MC3 is designed to make afterschool programming more accessible to more low-income families by offering high quality programming at a low cost. Students are exposed to hands-on learning through a wide range of enrichment programs, arts & crafts, and recreational activities. Additionally, they receive tutoring/academic assistance on a daily basis. During the summer, MC3 provides a summer camp at Gosling Meadows Recreation Center, which offers a multitude of enrichment programs for children. In 2016, Portsmouth Housing began a year long process to create a 2017-2020 Strategic Plan for the agency. Adopted in early 2017, this three year plan focuses our priorities on improving the quality of life of our residents, creating partnerships with the variety of individuals and agencies that serve our residents, striving for operational excellence, and preserving and growing the number of rental housing units that are affordable for the people of Portsmouth with modest incomes. Today, Portsmouth Housing is a dynamic organization built to adapt to the challenges and opportunities that go along managing permanently affordable housing in over 1,000 rental apartments, housing over 1,700 people. In this role, Portsmouth Housing is one of the most important pieces of civic infrastructure and social services in the city. For anyone looking to get the support they need to achieve their goals, they must first have housing that is permanently affordable, and Portsmouth Housing remains proud of our role in doing just that.